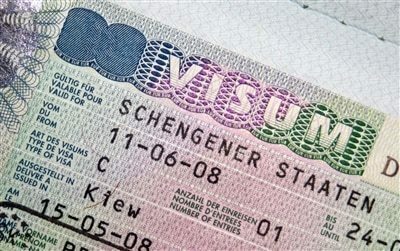 The citizens of the non-Schengen member countries are requested a mandatory Schengen Visa in order to enter the Schengen Zone. There are exceptions to this rule, however: for some countries that are not part of the Schengen Agreement yet don’t require a visa to enter the Schengen zone. The list of the countries that need a visa to enter the Schengen Area can be found here. In order to travel to one or more of the Schengen Zone countries, as aforementioned, one needs to apply for a Schengen visa at the designated embassy/consulate. There are, however, certain requirements similar to every embassy/consulate that have to be met in order to pursue the application. A unified exemplar of the requested documents with the additional information is meticulously described and listed in Schengen Visa Application Requirements section. The Uniform Schengen Visa stands for a permit of one of the Schengen Area Member Countries to transit or reside in the desired territory for a certain period of time up to the maximum of 90 days every six month period starting from the date of entry. According to the purpose of traveling the Uniform Schengen Visa applies to all of the three categories, “A”, “B” and “C”. This type of visa obtained allows you to travel only in the Schengen State that has issued the visa or in some other cases, in the certain Schengen States specifically mentioned when applying for the visa. Apart from these Schengen countries, this specific visa is invalid to any other Schengen country not specified prior. The national visa of “D” category is granted to the certain individuals who are to be studying, working or permanently residing in one of the Schengen countries. The national visa can be of a single entry, granted to the people who are in need of residing in the Schengen country for a certain period of time, or for a sole purpose after which they shall return to their country.